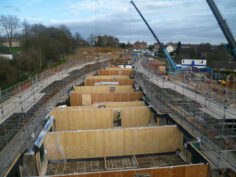 Montana were appointed by Bowmer & Kirkland after pricing the schedule of rates for the project which start in the April and ended in the October. 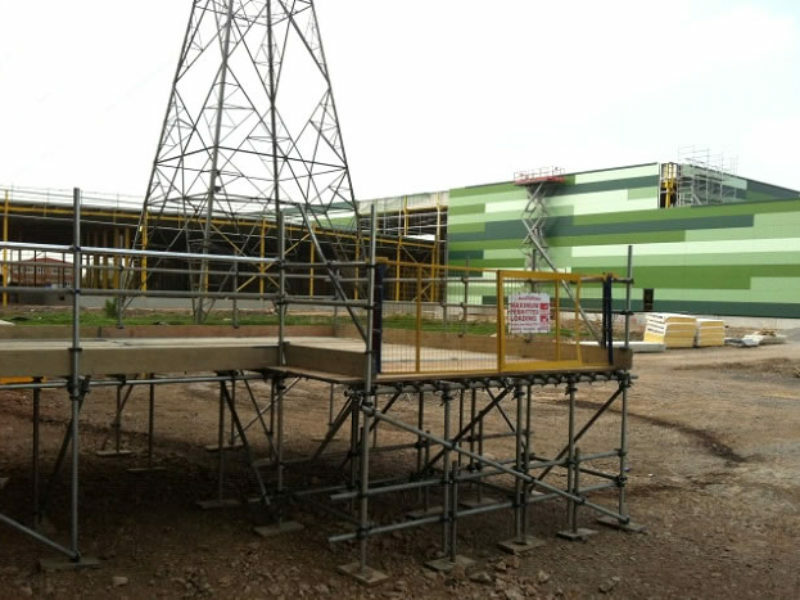 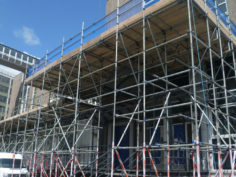 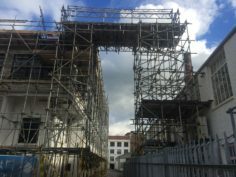 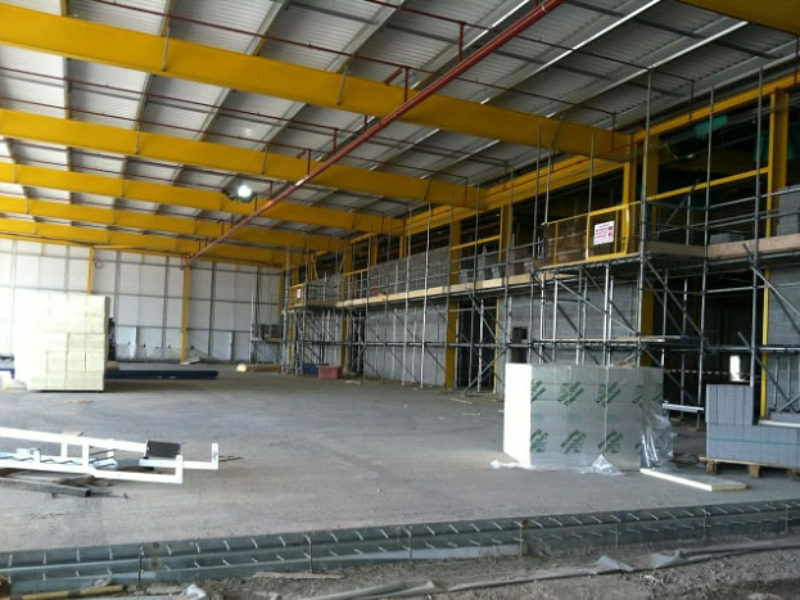 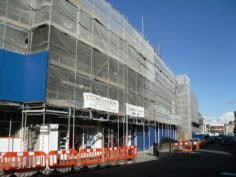 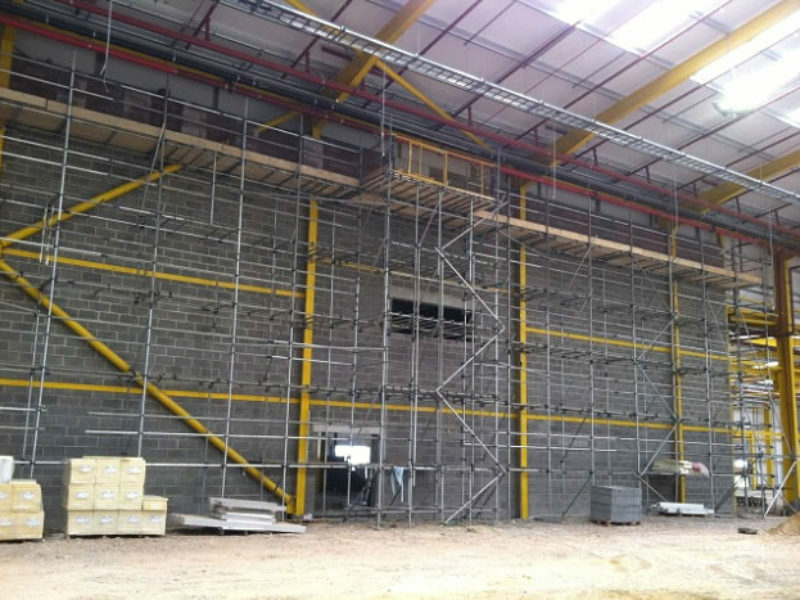 The works consisted of erecting progressive scaffold to both side of finished blockwork walls, access scaffold for plant rooms, guard railing using our own IPAF trained MEWP operators for edge protection around the metsec floor during pouring, loading platforms, birdcage scaffolding, temporary staircases, beamwork, bridging over water courses, HAKI staircases, edge protection to loading docks and internal office area roofs. 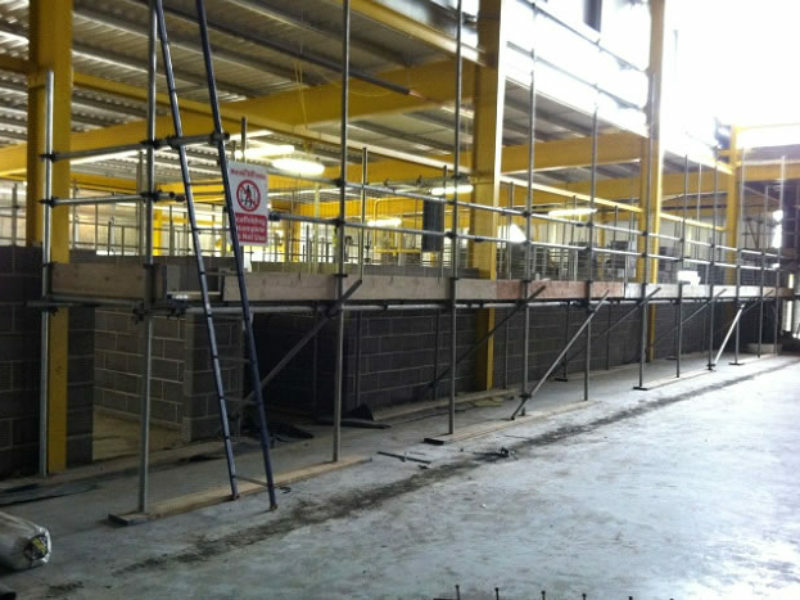 The site was approximately 1 mile in length and works had to be sequenced to coinside the laying of the floor slabs and cladding works. 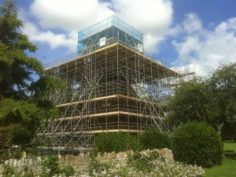 We worked closely with the Site Team to ensure the resources were available to achieve the programme. 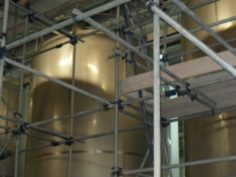 We provided full safety packages and conducted our own audits to ensure that not only quality was achieved but works were undertaken to a safe system of work.